I have been dying to make some tomato jam. My family is a huge fan of tomatoes. I found a recipe and experimented with the flavors a bit and decided that I really liked my version better. I added cinnamon, orange zest and orange pulp. The orange added a unique citrus flavor profile. 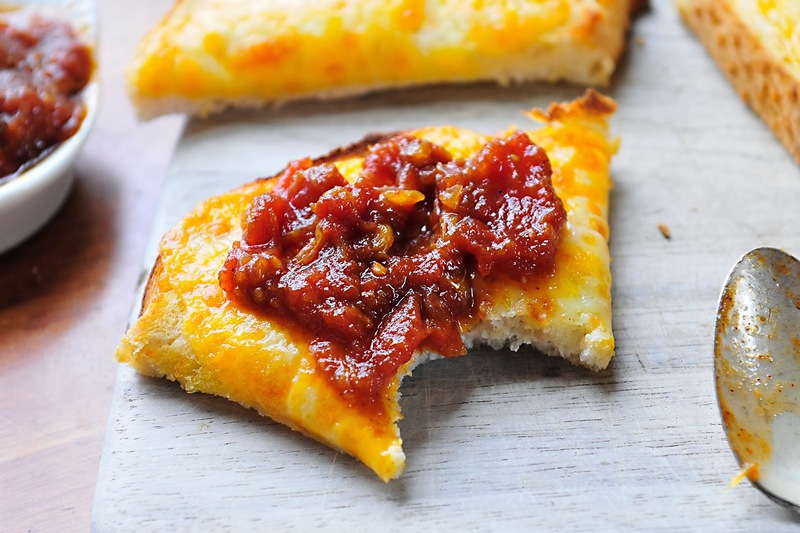 I used the tomato jam as a condiment to our grilled cheese sandwiches. The pictures show our favorite, open faced grilled cheese sandwiches. I found the longer it sat in the refrigerator the more developed the jam became. Although, it did not last that long because I could not stop eating it, maybe four or five days. 1. To remove the skin from the tomatoes, bring a pot of water to a boil. Cut an X on the top of each tomato and add to boiling water. After one minute, remove and let cool for a minute or two. The skin should peel easily in your hands. Cut tomatoes into medium sized pieces. 2. Add the tomatoes and remaining ingredients to a medium sauce pan. Bring to a boil over medium heat. Stirring often to prevent jam from burning. 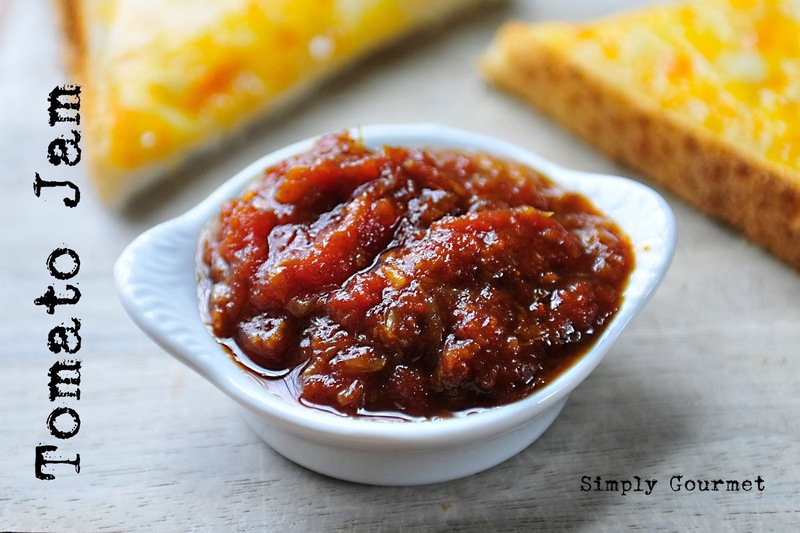 Once jam has boiled for one minute, reduce heat to a simmer and let jam thicken. Again, stir it every once in a while. The jam should take about an hour to reduce and thicken up. 3. Remove from heat, taste and adjust seasonings. Store in refrigerator. Good for two weeks. Hummmm...interesting combo of flavors. I may just have to try this one.